In 2018 every business needs access to a fast and reliable Internet service. This includes businesses of all sizes including those with multiple locations and employees who work remotely. Global data usage in business is rising every year, which means that the demand for bandwidth and fast Internet is only going to increase. Combine this data demand with the increasing uptake of cloud computing and CRM solutions, and it becomes clear that fast Internet speed and reliability is a must-have for any business to succeed. The costs of not having a fast, reliable Internet service was highlighted recently in a Sydney Morning Herald article. While it highlighted the slow and patchy Internet issue for regional Australian businesses, this issue also affects businesses in cities and suburbs. 62% of businesses believe poor Internet and phone connection affect the quality of customer service. But according to Trent Innes, Managing Director of Xero, “despite poor connectivity, business owners are staying put, and reluctant to move in search of a better Internet.” If your business has patchy or slow Internet, there are 3 more additional hidden costs that you may not have considered. Does your business rely on a CRM system to respond to customer inquires, collect leads and track sales? 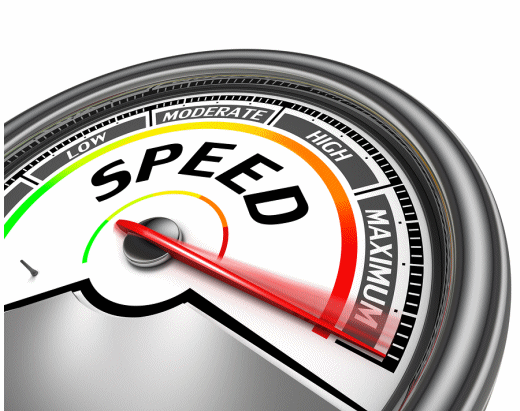 If your Internet is patchy or slow, it can affect the speed at which your website page loads. The speed at which consumers demand information now means that if your website doesn’t load in under 2 seconds, they will leave your site – perhaps going to your competitors. When your employees arrive at work each day, they’re ready to complete their tasks. A slow or patchy Internet connection not only slows them down, but also can affect their morale and motivation. If your business has patchy or slow Internet, your employees will probably be spending a considerable amount of time waiting. Everyday work tasks like transferring files, waiting for attachments to load and web pages to open reduce productivity and can affect motivation. In 2013 a survey by Sandisk discovered the average employee wastes 1 week per year waiting on their company’s network to respond. If your patchy and slow Internet is affecting your employees productivity and customer service, it may be time to consider an alternative provider. Find out how Summit business Internet plans and solutions can give your business fast, reliable Internet.